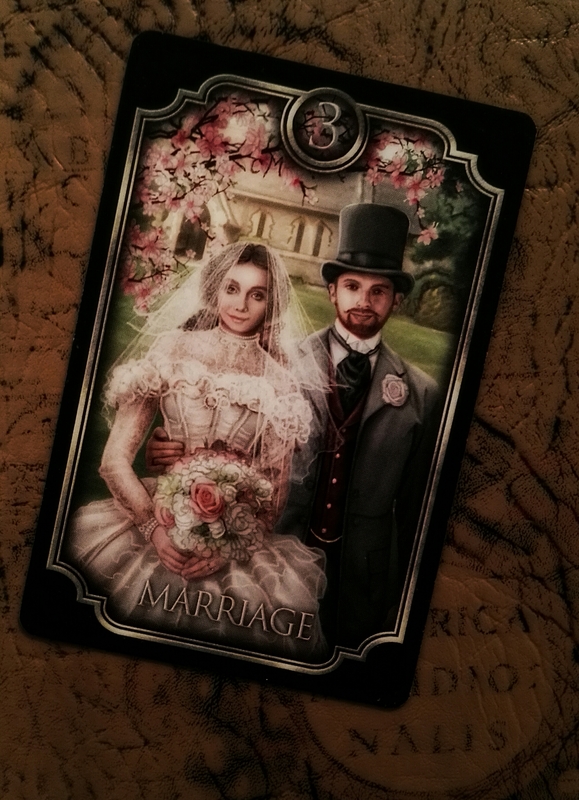 Kipper card 3 – Marriage. Kipper card 3 mainly stands for marriage or anything considered as a solid bond. Fin de siècle Kipper by Ciro Marchetti. This card is basically about ties, bonds that are tightening or forthcoming commitments. It is not only about personal relationships but also business or contracts. When the card is not talking about a consolidated relationship, we need to consider if it is telling us about an event that may happen during a wedding, perhaps it is telling us about a couple we know, a pair of associates or it is describing some other card, for instance, it could be telling us that we are strongly attached to a person or situation. Position traits: When asking specifically about a relationship, the card next to the woman will give us hints about her feelings, situation or intentions, and so will do the card next to the man. Previous postKipper card 2 – Main person (Female). Next postKipper card 4 – Get Together (Courtship).